Powder 4 Paws is a fully natural product has been developed with the highest quality of Californian carrots to create one of the healthiest dog products. 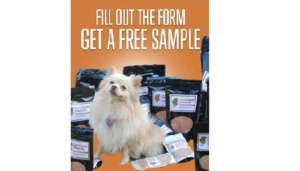 With your free Powder 4 Paws natural dog food supplement sample, you can provide your dog with the vitamins, antioxidants and minerals they need to be the healthiest they can be. Fill out the simple form to request your free sample.